There are a few things you’ll need to consider when picking out an above ground pool. If you’re already familiar with pools and are ready for the reviews, keep reading here… but if you’re wanting some help determining what’s important in selecting just the right pool for you and your family, click here for our Buying Guide. Ready? Let’s jump in! We’re sure you’ll find what you’re looking for by the time we’re done! The 10 Best Above Ground Pools of 2019 reviews are arranged below by customer rating. However, here are our own top pool recommendations for various categories. Click each pool image below to move to our review – details, info, and more! Intex 24’x12’x52″ Ultra Frame Pool. Here’s a quick look at the 10 Above Ground Pools that we’ll be reviewing. Click to jump to a specific one. This oval frame pool by Intex is a great combination of easy to set up and the classic rectangular shape, which is great for maximizing both swimming space and backyard space. While the PVC is not solid, the frame is supported by rustproof metal frames that brace the sides of the pool. You just need to snap these together at the joints when setting up the pool- no tools required! Setting It Up: You’ll be pleasantly surprised at how easy it is to set up one of these oval frame pools. After laying down the tarp on a leveled area, spread out the pool liner, inflate the top ring, snap together the frame, and then begin filling it with water! What’s All Included In The Purchase: It comes with the ground cover (a tarp, rather thin one, apparently) and the pool cover (not a solar one), the ladder (300lb weight capacity), the filter pump system, and V-TRAP vacuum. The Intex 1500 gph filter pump with GFCI outlet plug comes with the pool, and helps keep your water sparkling clean. Recommendations: You may wish to purchase a different pump, as a common complaint is that the one that comes with the set isn’t that strong enough for the size of the pool. Customers recommend a sand filter for this one! Another tip is that an air compressor is helpful for inflating the top ring around the pool. Con’s: 1) Some reviewers have had problems with the inflatable ring deflating or being tough to wash, and 2) You may find the filter not powerful enough, depending on your environment. Overall: Overall, we think this pool is a fantastic value for the price. 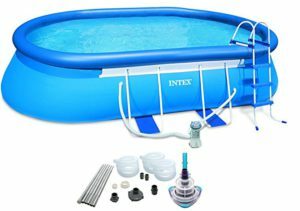 Intex is a dependable brand name, selling a large variety of pools, all with decent reviews. This one, on various websites, maintains a high rating as well! If you’re looking for a pool that will fit a narrow yard, this is a great option! 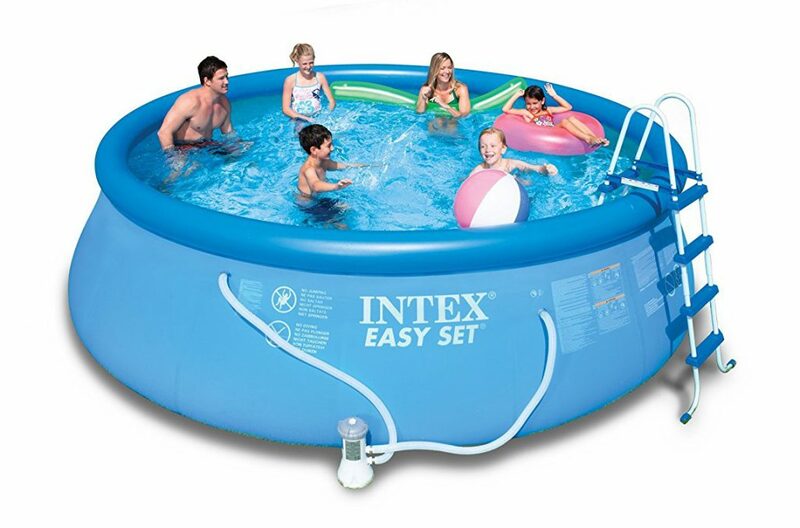 Check out this video showing how to set up the Easy Set Intex Above Ground Pool! 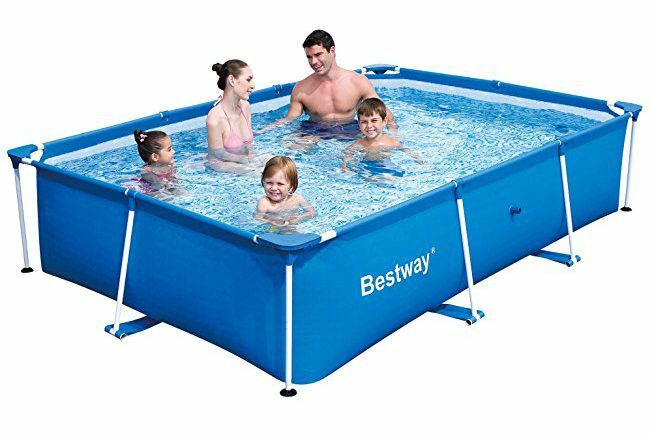 If the price on the first pool was a bit high, this one makes a much smaller dent in the wallet, but also has great reviews! 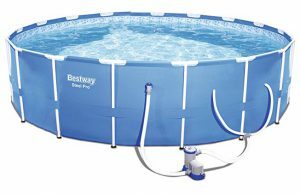 About This Pool: The Steel Pro is a 12′ round pool, good for smaller yards and for younger families as it’s only 30″ high. It’s also meant to be easy to assemble. The frame is made of heavy-duty, rust resistant metal wrapped in PVC. They hold up the 3-ply polyester walls, and a band wraps around the entire pool giving it even more support. It’s very solid! The pool has a flow control drain valve that can attach to a garden hose for easy draining at the end of the season. 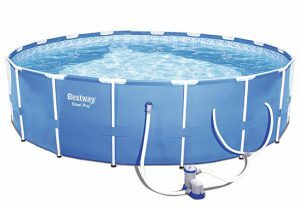 What’s Included: This above ground pool comes with a 330 gallon filter pump and filter cartridge, a heavy duty repair patch, and a DVD detailing pool set up and maintenance. Con’s: 1) Only 30 inches deep (our advice is to get out your measuring tape and see if that’s good for your needs), 2)Some reviewers say the included pump isn’t strong enough for this size pool. And 3) You’ll need to purchase a ladder and cover separately, if desired. Overall: Overall, we like this pool – it’s great value, a good size for those of us with smaller kids, and won’t take up a huge part of your backyard. The Bestway Deluxe Splash pool is a fantastic addition to a small backyard – or a large backyard in which you don’t want to have a pool take up all of the space. It’s not huge, but it’s definitely large enough for some serious water play! Think “a few HUGE steps up” from the classic round kiddie pool, if you wish. Parents and older kids can even enjoy this one with their littles without feeling silly! This pool takes about 30-40 minutes to set up, and then just add water! It takes 871 gallons of water (3300 L) to fill it (approx. 3-4 hours). What’s Included and What’s Not: You get basically just the pool and the frame with this purchase. Note that you’ll want to buy a small pump along with this pool to keep the bottom clean, but you don’t have to have it running all the time, just when you notice it’s dirty. Apparently sand filters work great for this pool size! There ARE connectors for filters/pumps (inlet and outlet, with plugs, on both the end and the side), and a drainage hole. It also does not come with a ladder – but according to reviewers, your smallest kids likely won’t need more than just a step stool. The Frame: This pool frame is sticks out approx. 12″ wider than the pool, so be sure to allow for about 24″ extra when you’re measuring to see if this pool will fit in your backyard. The frame is made of steel, wrapped in PVC. Reinforced rope wraps around the bottom of the pool, holding the heavy-duty plastic walls neatly in place. This is a fantastic “Kids Pool” – if that’s what you’re looking for, check this one out! We don’t think you’ll be disappointed! If you like the round above ground pools, this one by Intex is a great option. It’s not huge, so it won’t take up tons of space in your backyard. It sure will do the trick on a hot day! Again, note that this pool is only 30″ deep – GREAT for families with children, but possibly not quite what adults will be looking for. 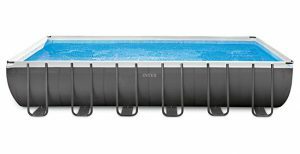 The Pool: The pool frame is made of metal, and the pool itself made of Intex’ special heavy duty PVC, which is resistant to damage from chemicals, abrasion, and impact. Assembly: This pool is very easy to set up! Once you have level ground prepared (which for some will be the hardest part), you simply lay out the pool, fit together the frame, and fill it up with water! When you want to empty the pool, simply attach a garden hose to the drainage hole and drain! What’s Included and What’s Not: The pool, the frame, and 6 extra filter Type “H” filter cartridges (29007E) that fit the (also included) Intex 330 GPH filter pump. You also get a maintenance and set-up instructional DVD to make sure you’ll have no issues getting your pool ready to go! A pool cover is NOT included, but Intex does sell them separately. Nor do you get a ladder, although only the smallest children will actually need one to get in and out. This is a classic round above ground pool that definitely does the trick! But again, note that it’s not a BIG pool! This pool is the one to look at if you’re wanting to get a “full size” above ground pool that adults can enjoy easily along with their kids! What’s Included: This pool comes with nearly everything you need to enjoy this pool! 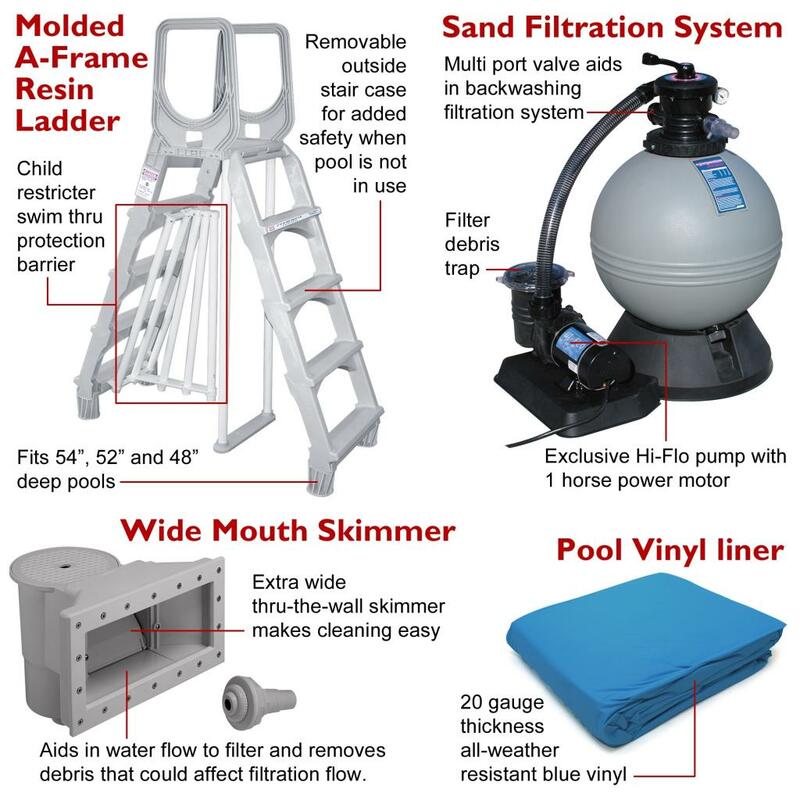 The metal frame, pool walls (made of super-tough laminated PVC), Krystal Clear sand filter pump 1,200 gph (110 – 120V, has a built in timer for automatic on-off), ladder, ground cloth, and pool cover (debris only, not solar) are all part of the deal. Also included is an instructional DVD to show you the (very easy) set up! The only thing you will need are the chemicals you choose to add to the water, and sand for the sand filter. One thing this pool has that none of the above pools has is dual suction outlet fittings – this improves water circulation resulting in better water hygiene and clarity. 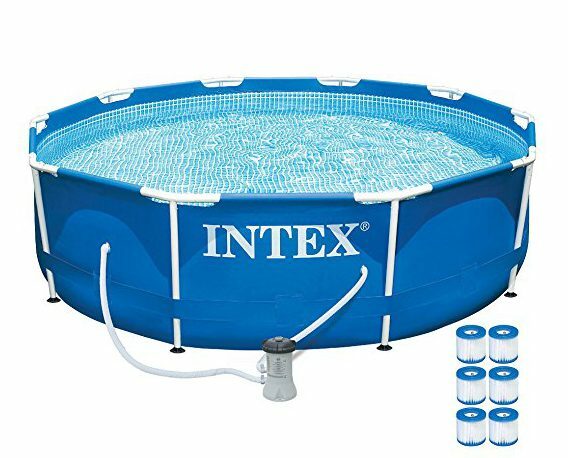 Assembly: Intex claims this pool can be ready for water within 45 minutes! Snap together the frame, and fill with water (90% capacity is 5,061 gallons). Heads up that manufacturers warn not to set up this pool on sand, mud, or ground that has a lot of loose earth. Also, according to reviewers, this is a pool that really requires the ground to be level… so be sure you have it good and flat before assembly! So this is one of the biggest round pools featured in our “Best Above Ground Pools 2019” list here, and it’s yet again a great choice if you’re looking to order an above ground pool for your backyard this year! Intex has a number of top rated pools on this list, of various frame styles. This is the Prism frame, which is basically the same as the metal frames, but with a different style of clip holding the frame pieces together, and with the special band wrapping tightly around the pool. It is considered one of the best quality frames, but you do pay for the difference. The walls are a super thick, puncture resistant 3-ply material – it’s fantastic already, but Intex also includes an additional ground cloth as additional protection. What’s Included: This set includes the pool/frame, a ladder, pump, filter, pool cover (debris only, not solar), ground cloth, and an instructional DVD (which covers set-up and maintenance). This exact pool is available in a range of sizes and depths. 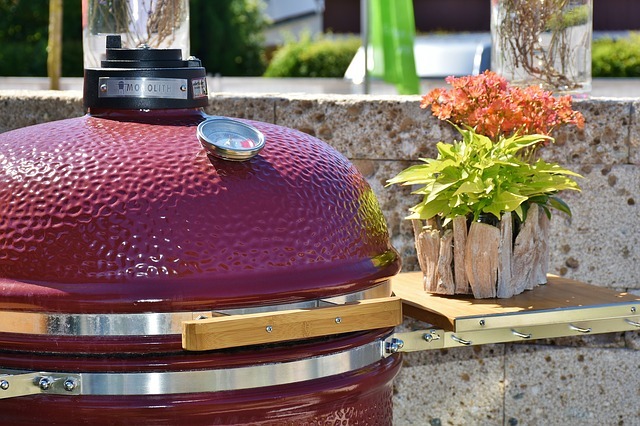 Take a closer look to see what options there are that fit your backyard and budget! Another huge pool! This one comes with a steep price tag, but we think it’s due to the fact that this pool is one that is meant to last for decades, not just a few years. It actually has a 35 year warranty and lifetime customer support! You get a lot when you purchase this heavy duty, permanent above ground pool. The Ladder: Besides the pool itself, you get the pool ladder, which has a removable outside staircase for added safety when you aren’t using the pool (EXCELLENT if you have younger children who aren’t strong swimmers who like to play in your backyard). The ladder also has a feature that stops kids from getting trapped underneath it should they attempt to swim under/through it. Love that too! The Pump: It runs on a 1 horsepower sand filtration system, which reviewers say is a great filter (sand filters tend to have way better reviews for larger pools). The Pool: This is the first pool we’re featuring here with solid walls, as opposed to thick material held up by a frame. This pool a frame made of strong, painted, hot-dipped galvanized steel components, and a liner made from all-weather 20 gauge vinyl panels. To be specific, the pool walls are “Hot-dipped galvanized corrugated steel wall, reinforced with layers of copper bearing alloy, alkaline cleaned zinc bonderized coating, chromic seal, enamel primer and printed wall pattern. Thru-The-Wall Skimmer: Dislike standing with the skimming tool, cleaning debris off the top of the water? This pool comes with a wide-mouth skimmer built right into the edge of the pool by the filter. It skims off debris before it can plug up your filter! 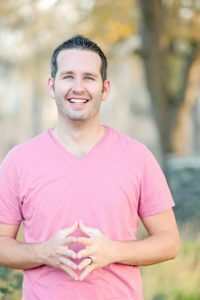 This is a serious investment in your backyard oasis – once it’s up (and apparently you can assume it’s not the EASIEST to assemble, but definitely doable with a few people and several hours), you’ll be enjoying it for a VERY long time! This is one BIG above ground pool – perfect for big groups, families who want to do some real swimming, play some volleyball games, and more! It takes over 14,000 gallons of water – meaning it’ll take a LONG time to fill and drain! This is Intex’ biggest pool – an excellent value for the price tag. It’s meant to be a salt-water pool, and comes with a salt-water sand pump filtration kit. You will still need to buy both the pool salt and the (pump) sand for this, and customers note that your best bet is to hit up Walmart or Home Depot for the best deals. Salt water systems do not require chlorine though, as the salt acts as the cleaning agent. What’s Included: Other than the sand and salt (and the water) though, you’ll have everything you need with this set to have a fantastic pool in your backyard! It comes with the pool/frame, salt-water pump, sand filtration system, ladder, ground cloth, debris cover, volleyball set, and a set-up and maintenance instructional DVD. Although the manufacturers manual says that you should drain it every year, multiple customers say they drain it just past the inlet before the winter, empty the filters and pump, and have no issues with it again in the Spring when they clean it all out and get it ready for the new season. You can expect approximately 5 years from this pool – it’s not a “forever” pool, but for the price it’s a pretty good deal! If you like the look and style of the pool reviewed before this, but think it’s just TOO BIG for your yard, you’ll be happy to discover that it comes in a smaller size too. Rectangular pools are excellent for most backyards, taking up less space than round ones. This is still a big pool (8,403 gallons) – likely you and your family will still be more than happy with this option! It’s also NOT a salt-water pool, which some will like, some will not. What’s Included: This pool is an Ultra Frame pool, meaning the frame is supported by durable, strong, steel frames that are powder coated for rust resistance and beauty. They hole up the pool liner, which is a super-heavy-duty material (laminated PVC) that acts as both the walls and the pool liner. You receive the ground cloth, debris cover (not a solar one), a ladder, a sand-filter pump (2,100 gph, 110-210V, has a timer), and an instructional DVD that covers set-up and maintenance. This pool has a newly designed dual suction outlet fittings, which improves circulation of the water… which leads to better water hygiene and clarity. It also has a convenient drain plug that connects to a garden hose so water can be drained away if and when desired (for this reason, because the plug is near the ground, you can’t bury this pool a few feet down). We really think you’ll like this pool – it has a great design, is a nice size, has good ratings, a strong company name to back it up, and is an elegant looking pool! If you’re looking for just a simple pool, one that’s easy to set up, and one that you’ll be able to enjoy for a few years in a small yard… this one is a great option! 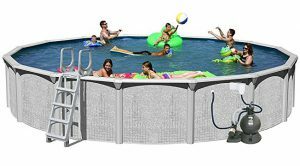 This pool is made of tough 30-gauge 3-ply material (the outer 2 players are laminated to another polyester mesh layer), so it’s reinforced and durable. This pool requires no tools to set up – it’s called an “Easy Set” for good reason! It does come with an instructional DVD (covering set-up and maintenance). Just lay the pool out on a leveled ground (the tricky part is getting a perfectly level ground), inflate the ring, and begin filling up the pool. The pump can be assembled during the fill up process. Don’t expect this pool to last for several years… based on reviews, if you get 3 seasons out of it, you can be happy. (Apparently it gets holes a bit too easily in the top inflatable ring, and even in the pool liner itself after being assembled and disassembled.) HOWEVER, for those 3 seasons, we think you’ll really enjoy this pool! You can also check out “How To Patch An Inflatable Pool” for some life-extending tips! Above ground pools come in different shapes, the most popular 3 by far being Round, Rectangular, and Oval. Round ones take up the most space, but are often the easiest to assemble (and are popular with kids who like to make whirlpools). Rectangular and Oval pools are great for long/narrow yards (and for those who love a good game of volleyball)! In each of these shape categories you’ll find pools of different sizes from small to large. 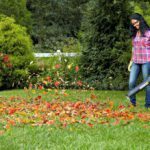 Each one will be “the perfect size” for someone’s yard, but you’ll need to do some homework to figure out what’ll fit best in YOUR backyard. We recommend physically going outside and measuring off the area you plan to use for your pool to see how it’ll look. 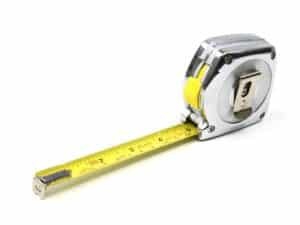 Don’t forget to add on at LEAST an extra foot in each direction for the frame (if a metal frame pool) – the measurements for each pool are based on the edge, not the exterior of the frame. The pools we feature here are a range of sizes and shapes. See our Overview Chart for size specifics to save you browsing time. Note however, that if you click through on a pool that you like the look of (the “Take A Closer Look” button), you will sometimes find that the pool is available in a few different sizes. What sort of frame do you want? There are lots of different frame materials and frame styles, even among the best above ground pools 2019. The price range you have will determine your options for frames, and your frame will determine the longevity of your pool. And, to put it plainly, the BEST frames are by far the most expensive (isn’t that always the case??) See #7 Below – the Splash Pools Above Ground 24′ Round, for example… the frame is built from metal plates and it has a separate liner – it comes with a 35 year warranty (!!!). The Easy Set pools by Intex (#1, #10) are also rated highly, but reviewers find they last only 3 – 5 years (thankfully the price tag is MUCH easier to swallow). The best above ground pools here (other than #7) are a combination of Easy Set and Metal Frames. Metal Frames (which include Ultra Frames, Prism Frames, Steel Frames) have a metal frame that supports a heavy-duty PVC liner. Each pool brand has it’s own style/design for the frames, but the general idea is that the frame components hold up the liner/pool wall all around the pool (some also braced by a thick band). Pros include that these frames last longer than Easy Set, they maintain their shape better, and they have walls that do stand vertically. Cons are that occasionally you can have rust issues (usually if you damage/scratch something during assembly… otherwise there isn’t much exposed metal (it’s covered in tubing), and assembly can be rather tricky. If you want to have clean water to swim in, you’ll need to have a pump and filtration system. There are 3 main types of filters: Sand Filters, Cartridge Filters, and Diatomaceous Earth (D.E.) Filters. All of our Top 10 use either Sand or Cartridge Filters, so we’ll focus on these. Sand Filters: The basic idea here is that the water is pushed through the sand, and the sand collects the debris. Once there is a fair bit of debris collected, the water pressure from the filter slows down and you know you need to clean it. Normally, with a sand filtration system, you’ll need to flush it and replace the sand every few weeks. Its not a difficult or expensive task, but can be time consuming. Cartridge Filters: Cartridge filters work similarly to the sand filters in that water is pumped through the filters, and the filters collect the debris. 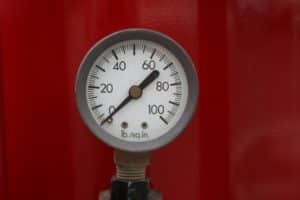 As the filters get dirty, the pressure inside the cartridge tank rises, and eventually it’ll hit the indicator mark that they need to be cleaned or replaced. (See How To Clean A Pool Filter). Cartridge filters are not cheap if you get good ones, but they do last a lot longer between cleanings than sand filters – many people only need to do maintenance on them once or twice a season. Cartridge filter systems in general are newer than Sand Filters… and are made to collect even smaller particles in the water. This is appealing to many people who simply want the cleanest water they can get. You’ll also have to decide how you want to sanitize your pool water. The pump system will do a good job, but you will still need to either add chlorine (chemical tablets that release slowly, you put them in a feeder or floater), or salt (no, not the kind that leaves a residue on your skin, but pool salt that’s proven to be easy on your skin, eyes, and clothes… and on the metal in the pool). 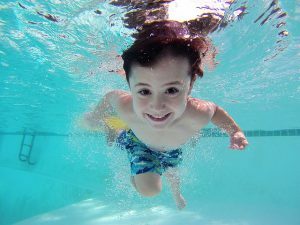 Salt chlorine generators actually turn the salt to a sort of “free” chlorine, which cleanses the pool and then converts back into salt. 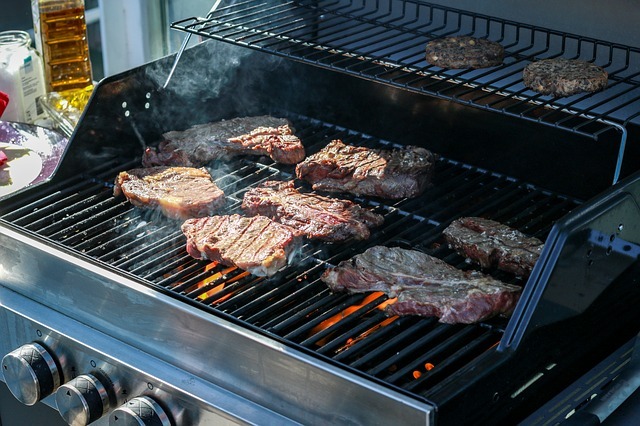 Many people say that once you try salt, you won’t want to go back to chlorine. The most crucial part of the installation of ANY above ground pool is to have your ground area be level as flat as you can possibly get it. Uneven ground, hills or holes must be leveled “perfectly” before pool assembly even begins. And truly, this may be your biggest challenge to getting your backyard pool the way you want it. A perfectly level pool means that the water pressure will be distributed evenly all the way around the pool – making it stand properly and securely. If you don’t get it level, the extra water pressure from the excess on the one side may cause a side of the pool to collapse. 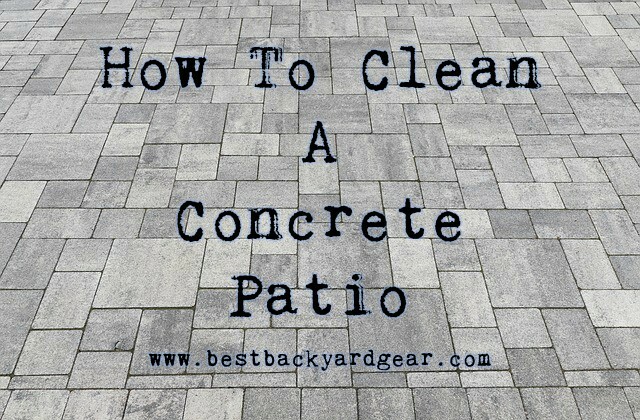 You also want the ground beneath the pool to be smooth. Most of the pools recommended here come with a ground cloth that protects from anything sharp in the ground penetrating the pool liner. A smooth base also means it’ll be comfortable for your feet and knees – you don’t want lumps and bumps under your pool! Some people purchase “Gorilla Mats” (thick pads) for under their pools, some pour loads of sand, some lay indoor/outdoor rugs underneath. Bottom line, you want it to be smooth, flat, and relatively soft. And there you have it! The 10 Best Above Ground Pools 2019! We hope this guide and these recommendations have been helpful for you! If you have any questions, comments, or feedback, feel free to leave a comment and we’ll get right back to you! If you’re adding your first pool, or going up to a bigger size/style, you may wish to look into if you need to make any adjustments to your home owners insurance. There may be some premium increases. Also check if you are required to have a fenced in yard. 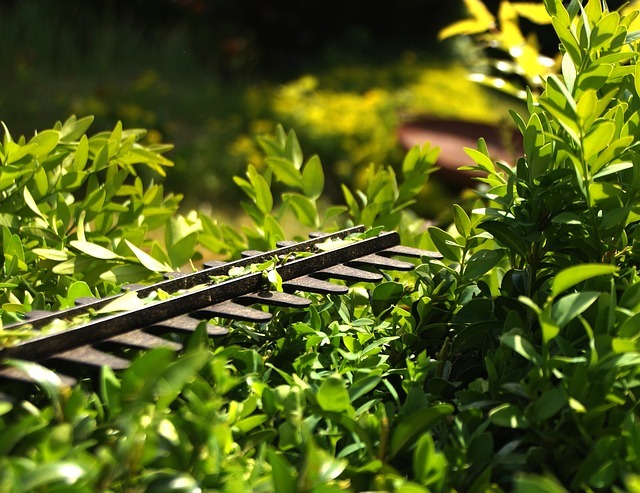 You will need to contact your City or County for regulations regarding fences and pools. Both of these vary by location and by state, county or city laws. Thanks for your brilliant article. The swimming pool is one of the greatest places of pleasure. 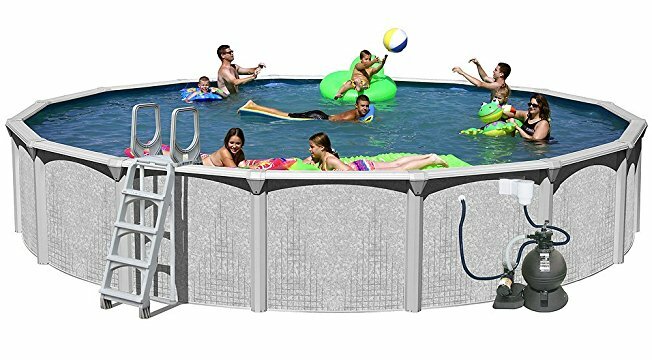 You have mentioned some of the cool above-ground pool, it looks perfect to me because I was looking for the best above-ground pool set for my backyard. I think Intex Rectangular Ultra Frame Pool Set is suitable for me according to my need. Thanks for your encouraging note, Sunny, I appreciate it! Hope you enjoy your above ground pool this summer – I agree that the Intex looks like an fantastic choice.